NASA’s Curiosity rover has spotted a “thigh bone” on Mars — or at least that’s what some paranormal types would have you believe. 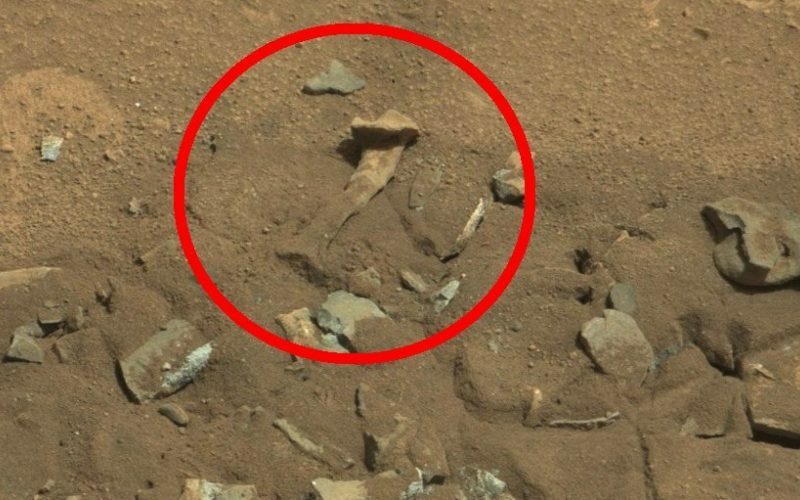 The folks at UFO Blogger wrote this week that the rover’s MastCam had captured a photograph of a “fossilized thigh bone” on the red planet on August 14. The object certainly resembles a fossilized femur, but the odds that it’s anything other than a weird-looking rock are, well, astronomical. Over the years, people eyeing pictures from Mars have claimed to have seen everything from an iguana to a finger to weird faces. But NASA hasn’t been too impressed. “On Mars, as on Earth, sometimes things can take on an unusual appearance,” NASA wrote on its website last year after a strange, “shiny” object was spotted on the Martian surface. The Huffington Post reached out to NASA for comment about the “bone.” This post will be updated with any new developments.